Cutting-edge EFI Propane performance in a floating-deck, hydro-drive mower. 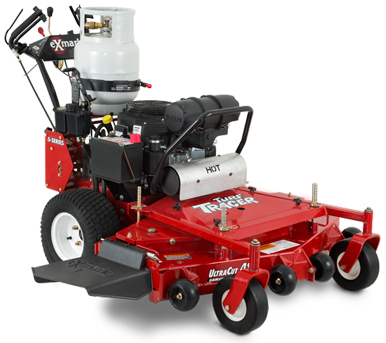 The Exmark Turf Tracer S-Series is powered by the the eco-friendly Kohler CV680 propane EFI engine, matched to a 48-inch Exmark UltraCut Series-3 cutting deck. and the company’s patented Enhanced Control System (ECS) for ultimate operator comfort. It’s a combination that delivers day-long productivity.